Mommy? What color is Ronnie? Maybe brown like chocolate? Sure, she’s not even 3 yet. Yes, I fully expect her to make innocent observations as she discovers the world around her. Still… I wanted to f*cking DIE. Spontaneously imploding would have been preferable to my red-faced stammering, “Whaaaaat?” as I pretended I didn’t clearly hear what she said (Mistake #1). Saved by the elevator doors sliding open, we said our quick goodbyes and I bolted out of the building and down 7th Avenue. As we walked the sixteen blocks to our apartment, I cursed myself just a little. In my overzealous need to be urban, liberal, multiculturally-sophisticated supermom, I had f*cked up. 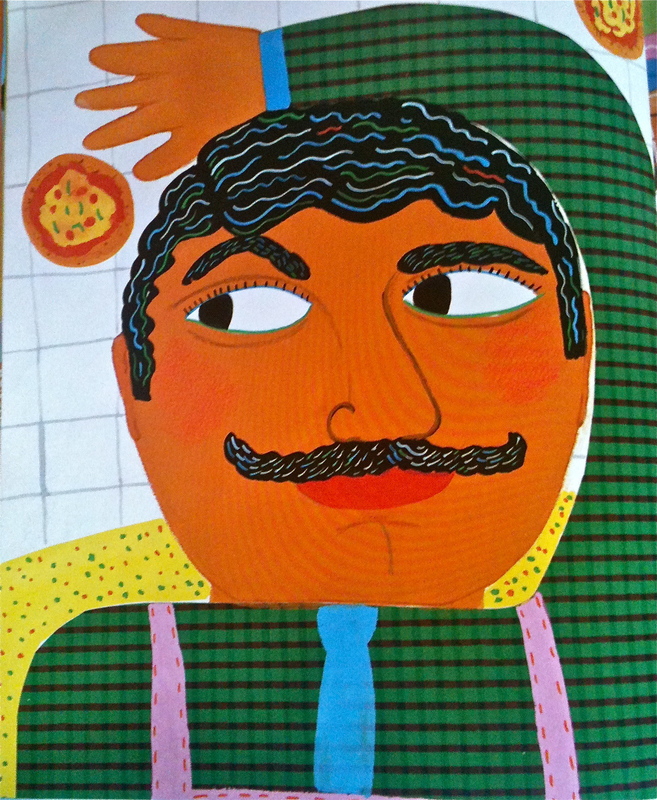 …Mom and I see Mr. Pellegrino flipping a pizza high in the air. He is the color of pizza crust, a golden brown. …Mr. Kashmir sells many different spices. He’s the color of ginger and chili powder. 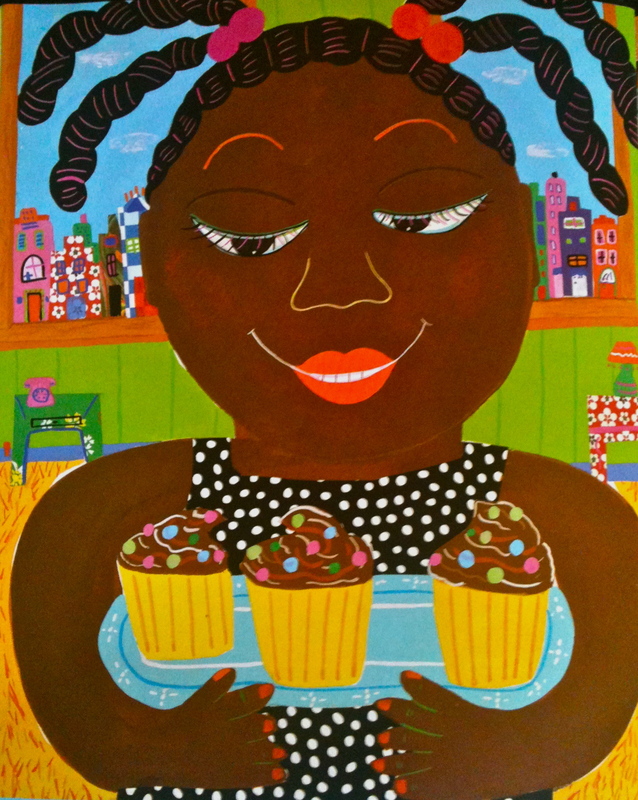 Isabella is chocolate brown, like the cupcakes we had for her birthday. Wait, wait… the Italian guy is the color of PIZZA CRUST?!? 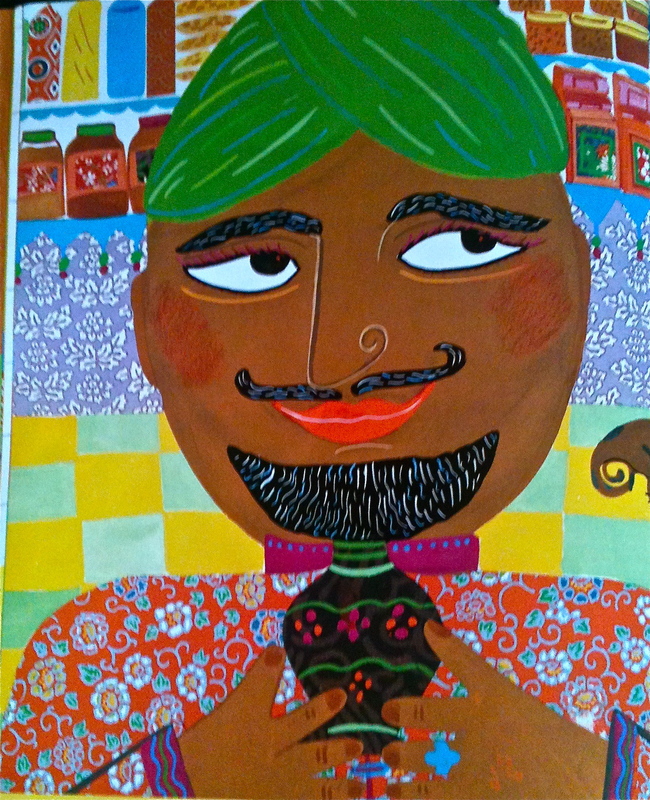 Mr. KASHMIR, with his turban, runs a spice store? There’s nothing else to say about Isabella other than the fact that she looks like cupcakes? Seriously? WTF? Is she kidding me with the stereotyping and food references? Parenting fail! Parenting fail! I shelved the book the next morning and with it, I pretty much shelved any formal discussion of race and multiculturalism until I find a better resource (Any suggestions?). For now, I’m using NYC as her guide, and hoping that all the different faces she sees and languages she hears during each neighborhood outing will instill in her a curiosity and appreciation that can’t be found in a stupid book. Thanks for nothing, Karen Katz.